Create Data Systems Limited, in collaboration with the UK’s largest independent hair and beauty group, have developed the cloud software ‘Salon Precision’ built for the hair and beauty industry. This salon management software is an application containing all the power and functionality needed to run a successful salon. 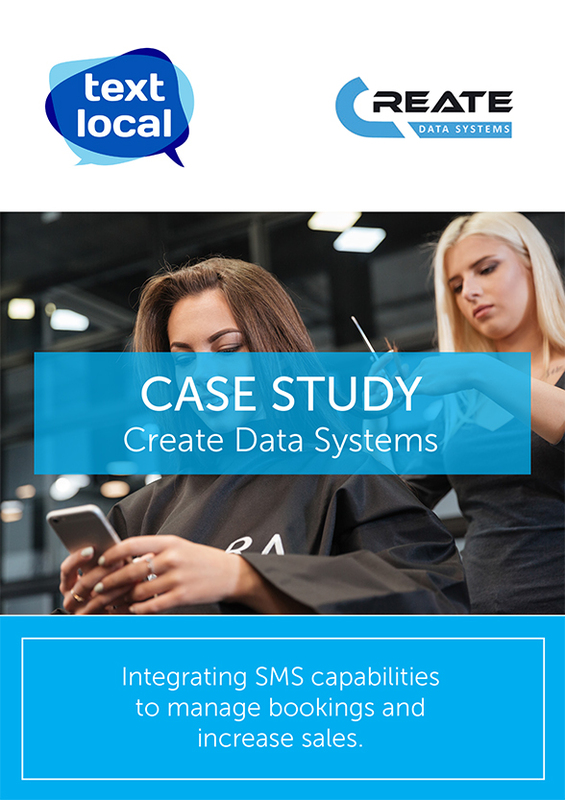 As part of the Salon Precision software, a quick and flexible solution was needed to provide text capabilities to their hair and beauty clients. Offering text message capabilities within their software was considered a market demand. In order to rival their industry competitors, Textlocal’s text messaging platform capabilities were integrated into their own software product Salon Precision via Textlocal’s API gateway. Clients using Salon precision send text messages to their customers to remind them of their appointments. The API integration allows text messages to be sent as an auto-response to their system bookings. As a result the salons attendance rates have increased, missed appointments have reduced and therefore sales have increased.